Shimanos Tiagra group set gives grassroots and new road cyclists the opportunity to ride a group set inspired by professional riders, whether for challenging sportives, everyday commutes or long weekend rides. For the first time Tiagra supports internal cable routing, which gives the road bike a much more clean and professional look. The Tiagra 4700 group set offers a great balance between performance, easy operation and low maintenance. The rear derailleur has a revised cable pitch which offers precise and long-lasting shifting performance. This is an important feature, especially for unexperienced riders as they don’t have to use much power to shift. Suitable for cassettes with up to 34 teeth. 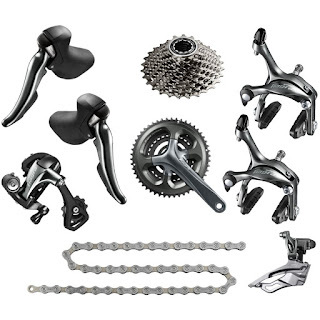 Crankset with integrated axle for 3x10-speed Shimano 4700 components. Modern and aerodynamic cap-free crank arm design with attractive glossy grey anodized surface treatment. Bottom bracket cups not included! Front derailleur for 3x10-speed. With wider base, higher stiffness and an increased mechanical load capacity for optimal shifting performance. This 10-speed cassette maintains calculated, shock-free gear steps from one gear to the next, saving riders energy and helping maintain their flow on the trail. Please Note: In combination with the RD-4700-GS rear derailleur only suitable for cassettes with 11-32 or 12-28 teeth. With a specific movement direction optimal gear switching performance is guaranteed. 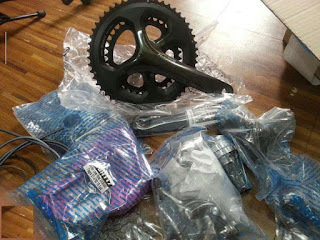 The outer chain plates are optimized for better gear switching performance on the chainwheels and the inner chain plates are optimized for best gear switching on the cassette. This Hyperglide chain stands out with an outstandung dirt-rejection performance because of it's special shaped outer plates. The Tiagra brake system offers consistent all-round control in all conditions. Compared to the previous generation the braking power has increased by 30%, while the modulation of the brakes has improved too. Dual pivot brakes with Shimano Linear Response (SLR) technology for faster response and optimized power transfer. Adjustable toe-in brake shoe. Functional and durable quick release. R50T2 brake shoes for good braking performance in dry and wet conditions. Besides the integrated shift/brake lever there are also instant / two-way release flat handlebar shifter (SL-4703) and flatbar brake levers (BL-4700) available. 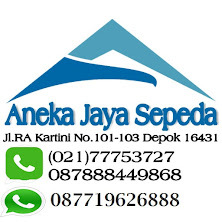 If you are interested please contact our service.